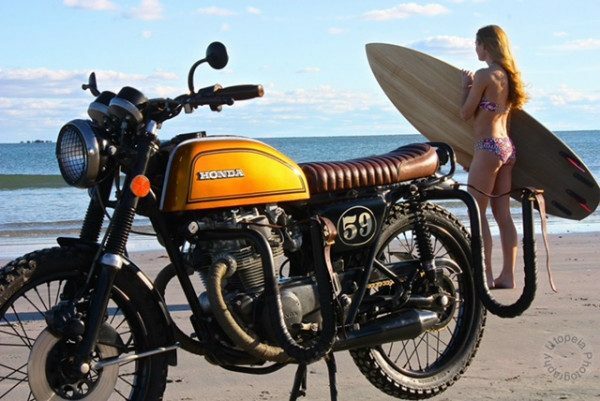 Somehow motorcycles and surfing are two subcultures very close to each other. 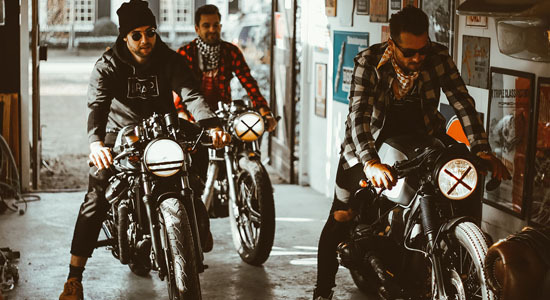 The annual Wheels & Waves Festival in Biarritz is probably the best example of the two cultures coming together. 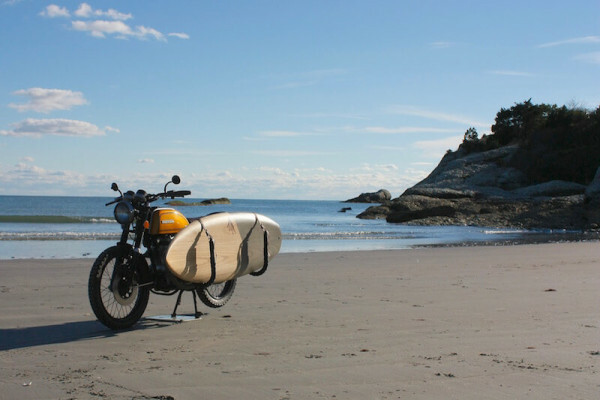 Chris Tope from Bellingham (MA, USA) is a guy standing with one foot in the motorcycle scene and the other one in the surfing scene. 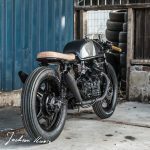 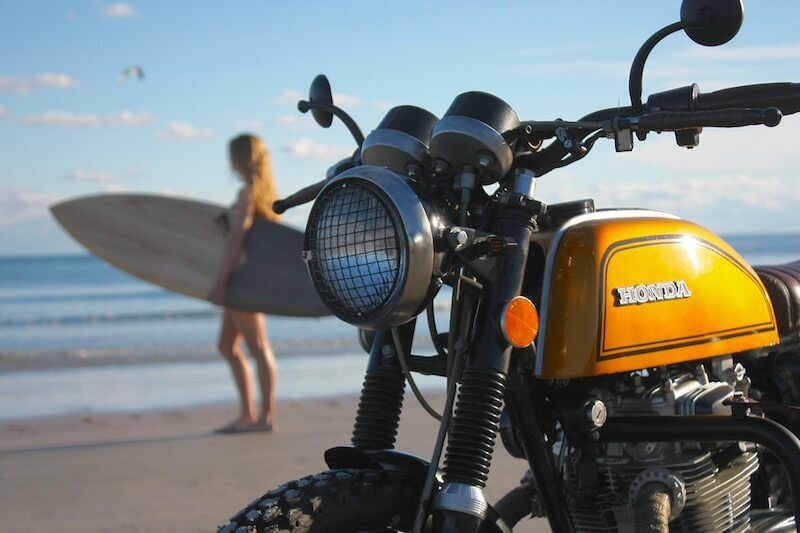 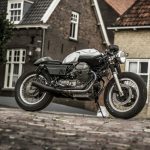 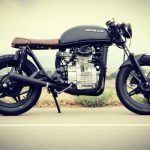 When he got his hands on a bad shaped Honda CB200t from 1975, he decided to restore and modify this machine, make it “beach worthy” and able to carry his surf board. 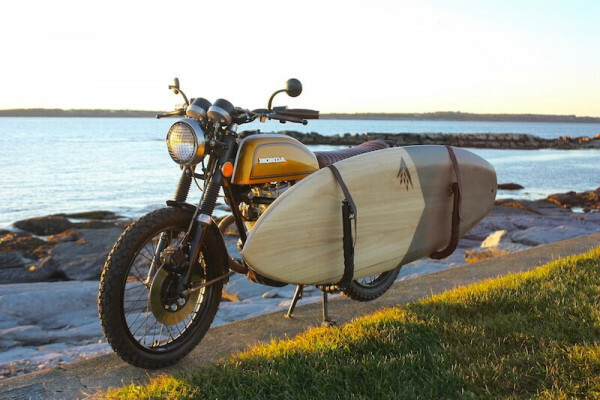 Project “Surf-N- Turf” was born. 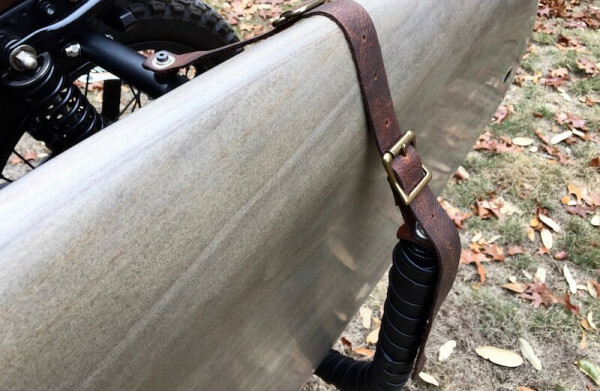 The surf board rack is built out of stainless steel tubing, painted black and wrapped in double stitched Relicate black leather to protect the surf board during riding as well as brown leather straps to compliment the custom leather seat, handlebar bracket and tool bag. 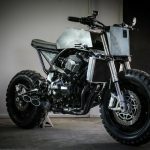 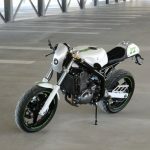 The modifications on the bike include transforming all chrome parts into powder coated black or brushed metal, Progressive front end suspension and custom rear end Hagon Shocks, aluminum fabricated seat pan, trimmed and modified frame, fenders, levers, grips and handlebars. 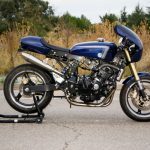 The vintage 70’s sunrise yellow tank was what sold me on the bike so he had it repainted to the exact color but with modified hand painted pin striping. 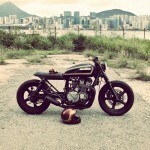 Joker Machine sent various fabricated pieces for showcasing on the bike. 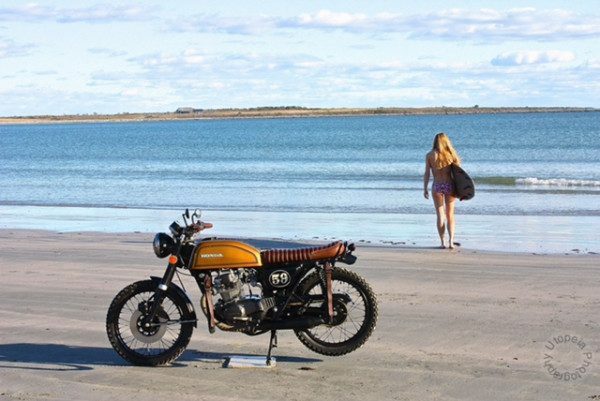 Chris pulled the motor and fully restored internally along with changing the color scheme for an OEM, yet brat/scrambler look. 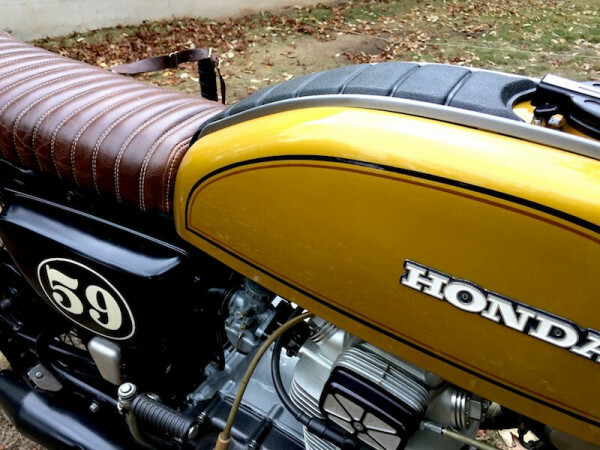 The side covers were hand painted and pinstriped by a friend of Chris out of upstate New York who collaborated on the idea of the “59”, paying homage to the era of fabrication and custom builds of his time. 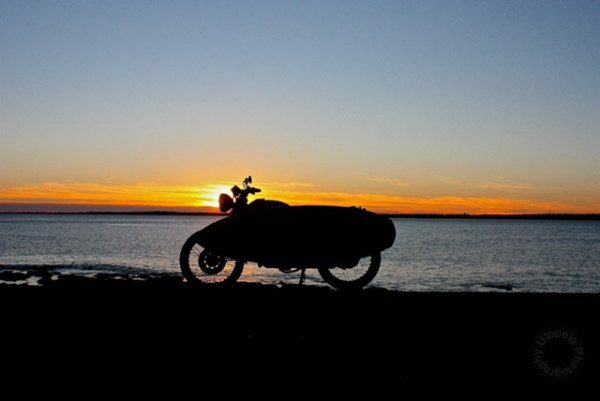 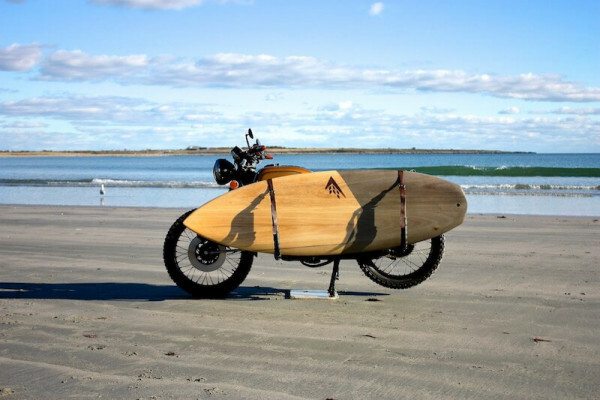 He outfitted the bike with rugged tread tires, perfect for riding right up to the best surf spots. 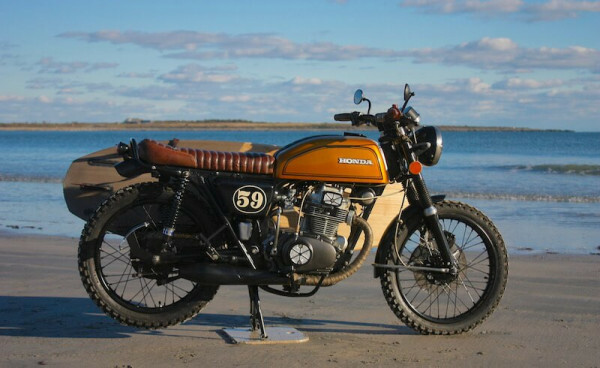 Chris’ “Surf-N-Turf” won Best in Show at Rice-O-Rama in Spencer, MA, People’s Choice Award at the Welcome East Show in Portsmouth, NH, was featured in the Motorcyclists Post Oct 2016 edition and in Rider Magazine Jan 2017 edition, and just recently pictured in the 025 volume of Iron & Air magazine.